When you’re riding the poverty line as an artist, it can be ironically difficult to find the chance to indulge in many of the rich cultural works that stud our town. 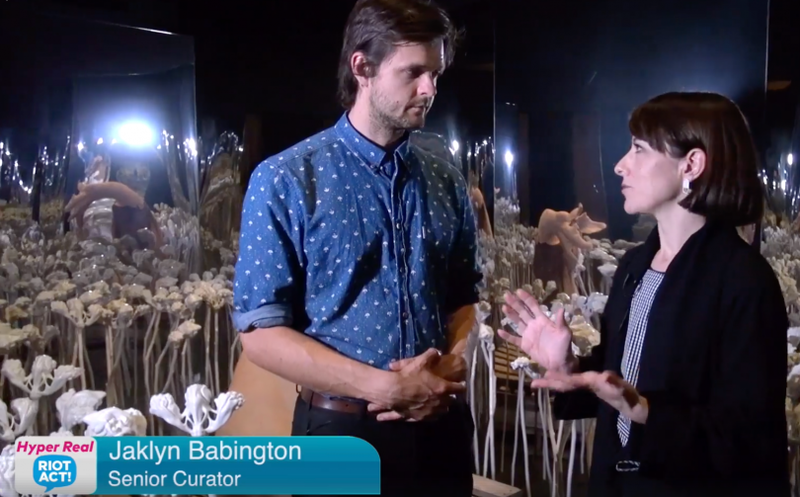 Fortunately, thanks to RiotACT, I was able to innovate my way into a free tour of the wonderful Hyper Real exhibition at the National Gallery of Australia by interviewing their Senior Curator of Contemporary Art, Jaklyn Babington. Having Jaklyn talk us through some of the masterworks that have been assembled in this exhibition was a real privilege. Confronting, playful and distorting – Hyper Real is a bold presentation that unites many of the questions being asked both of and by contemporary artists in a visually stunning journey. I hope that you all watch this video 1000 times so that I might be given a chance to walk through these august halls in such generous and expert company again in the future. The Hyper Real exhibition is on now at the National Gallery of Australia and runs until 18 February 2018. Click here for further information.